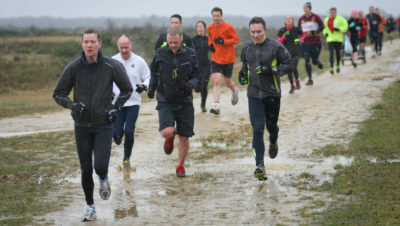 Never say “I can’t do hilly races because it’s just so flat where I live” again! Time and time again we hear people say “I’d love to do that hilly/mountain race but it’s so hard to train when I live somewhere so flat”. Yes, hill training would certainly be easier if you had a big hill a short walk from your house, but there are plenty of ways around that, and we could give you many examples of people who’ve successfully completed some of the toughest hilly races out there (and in many cases done very well) while living somewhere pretty flat. Here’s our guide to stopping whining about the lack of hills and getting on with making the most of what you’ve got! We enlisted the help of Natalie White, hill aficionado and coach, for advice on sessions. Firstly, what’s the biggest hill you have easy access to? Even if you live in London there’s Primrose Hill, Broomfield Hill, Dark Hill, Parliament Hill, Shooters Hill, do we need to go on? None of them are huge (Shooters Hill is the biggest at 132 metres) but there’s plenty to go at for a decent hill session. You might even be surprised at what the biggest hill near you is. Try the brilliant UK Hillwalking’s hill finder map, where you can search ‘over 3000 hills and mountains’ by putting in your town or postcode and selecting what radius you want to search. You might, like me, discover hills near you that you didn’t even know existed! London – as well as all the hills mentioned above you can get the train from Victoria and be at Box Hill 53 minutes later. 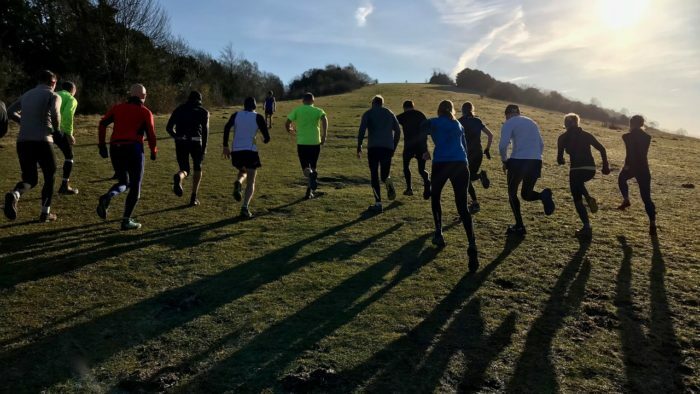 You can get a great hill session in on and around Box Hill (224 metres high). Also pretty accessible if you’re a Surrey dweller. Birmingham – Walton Hill, in the Clent Hills, is 316 metres. Hagley station is 3.5 miles away (that sounds like a perfect warm-up) and it’s only 40 minutes by car from the city centre. There’s also the brilliantly named Lickey Hills, only 10 miles south west of Birmingham. Try Beacon Hill, which stands at 298 metres. Oxfordshire/Berkshire – it’s more ‘pleasantly undulating’ than super hilly in this region but there is plenty to get the pulse going. How about Whitehorse Hill near Wantage, at 261 metres, or the 171 metres Shotover Hill, a stone’s throw from Oxford? If you’re near Didcot or Wallingford you’ve got a short, sharp ascent in Wittenham Clumps (121 metres), or there’s the nearby 125 metre Lardon Chase in Streatley (there’s a train station nearby – Goring and Streatley). Lastly, you could certainly make yourself suffer on Walbury Hill, between Newbury and Andover, standing at 297 metres. So, hopefully you’ve now found your best local hill. How do you make the most out of these hills? What are the sort of sessions you can do, for the size of hill you have at your disposal? 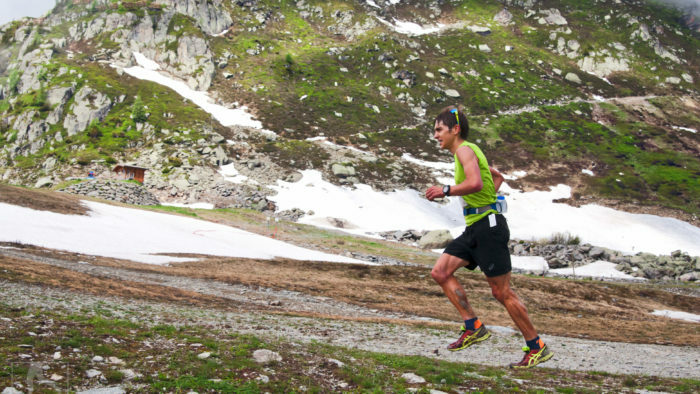 I asked Natalie White, former British and English fell running champion, who now podiums at a lot of hilly races out in Europe and has completed the legendary Tor des Geants. As well as having running credentials which speak for themselves, she’s also a coach. She knows what she’s talking about when it comes to hill training. Set a time limit for the session of 20 mins, 30 mins, up to a maximum of 45 mins (you might increase it as your training progresses), and run up and down the hill for that period of time at a pace you could sustain for an hour. This will give you a long, continuous effort. Run up the hill for 30 sec, jog back down, run up for 1 min, jog back, up for 90 sec, jog back, up for 2 mins (if your hill is big enough), jog back. Then immediately reverse the set and do 2 mins up again, jog back, 90 sec up, 1min, 30sec etc. Take a 2 min rest and repeat the set. Depending on how long your event is you could progress this session until you’re doing 3 or 4 sets of this pyramid. Another form of hill session could be a loop. Find a loop which gives you some uphill, some downhill and some flat. Work hard on the uphill and downhill and then use the flat for the recovery. This is a good way to work all the muscles that you’ll be using in hilly races. So, we’ve established that even if you don’t live in a super hilly area you’re still going to be able to find some sort of hill to do your hill training on. And we’ve established that no matter what size of hill you have access to, there are some really effective sessions you can do. What else do we need to do, to get ourselves ready to do some big, hilly races? If you’re targeting an ultra in the Alps, Pyrenees or the Dolomites, or if you’re taking on the Lakeland 50/100, or maybe a big Scottish or Welsh race then some time on your feet in the mountains during training will be really valuable. You can train your body to get used to running up and down hills, but to show it what it feels like to be on your feet for several hours in hilly, tough terrain will give you an even greater chance of success. But, what if you’re limited for time, or have family responsibilities or a limited budget? Fear not, because again, you can get maximum benefit from minimum outlay of time and money. Can you find a few days or weekends when you can dedicate a block of time to running? OK, good. Next, work out which mountains are going to be most accessible for you. Again, you might be surprised by the answer. If you’re in London you can be at Oxenholme station in the Lake District in under 3 hours by train. From here it’s a short train ride to Windermere and from there you can access any number of loops which will give you multiple peaks of over 400m and you can even get up to 978m if you make it over to Scafell Pike. 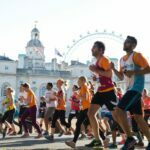 You could just about do it in a day from London, but if you could stay overnight and make a 2 day running trip out of it there are plenty of cheap options such as campsites or YHA dormitories. Back-to-back days out in the mountains will really help to simulate what it’s going to feel like in a long ultra. If you’re based in Oxfordshire/Berkshire/Buckinghamshire you can be in the Brecon Beacons within 2-3 hours in a car. There are some fantastic and tough loops, which take in Pen y Fan, Fan y Big, Corn Du, Cribyn, all 700 – 800m+ mountains. 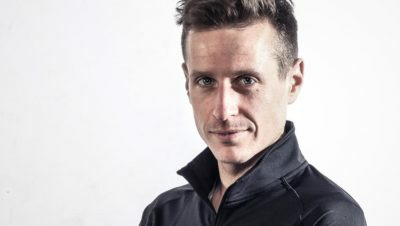 That could give you some serious ascent in only a few hours, if you really want to practise your ascending and descending, and spend some time on your feet in a race-specific environment. Similarly, if you’re based a bit further north then Snowdonia is another great option. You can be there within 2 ½ hours from Birmingham by car and you’ve got Snowdon, Tryfan, Crib Goch, all over 900m. Again, in the Brecon Beacons and Snowdonia there are some great cheap accommodation options if you can make it a 2 day trip. And let’s not forget Yorkshire. Pretty accessible by train and car and just following the Yorkshire 3 Peaks route (Pen-y-ghent, Whernside and Ingleborough) you’ve got a nice route taking in 3 peaks of between 694 and 736m. Scotland is a bit less accessible but in easy reach of Glasgow or Edinburgh you’ve got any number of big ascents to choose from. If you’re able to push the boat out a bit more then a weekend in the Alps can be done reasonably cheaply and would reap dividends. 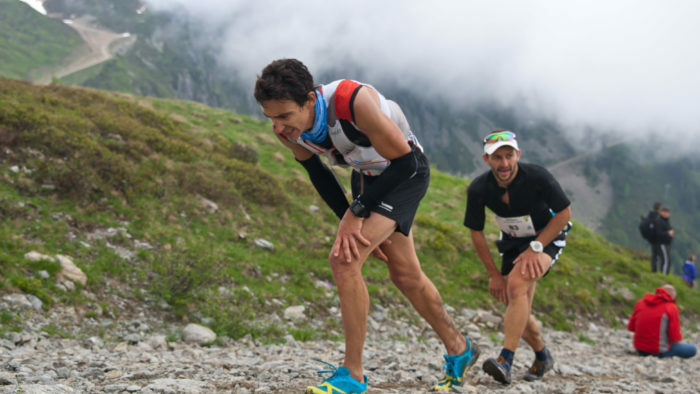 If you’re looking to run one of the UTMB races then spending some time on the course would be really helpful. Just letting your legs and body know what it feels like to tackle a 1000m+ climb, getting used to the sort of terrain and experiencing what those long downhills will do to your quads will help hugely. Hopefully this has given you a few ideas to maximise your hill training. Next time you find yourself saying “it’s just too flat where I live” ask yourself what your nearest hill of any size is and whether you can spare as little as half an hour to do an effective hill session. And ask yourself how much you want to get better at the hilly stuff. Then maybe those big, hilly races that are on your bucket list might seem a bit more achievable. 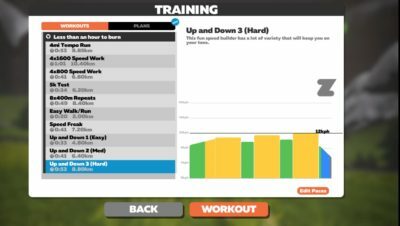 Zwift Treadmill Sessions To Make You Faster!